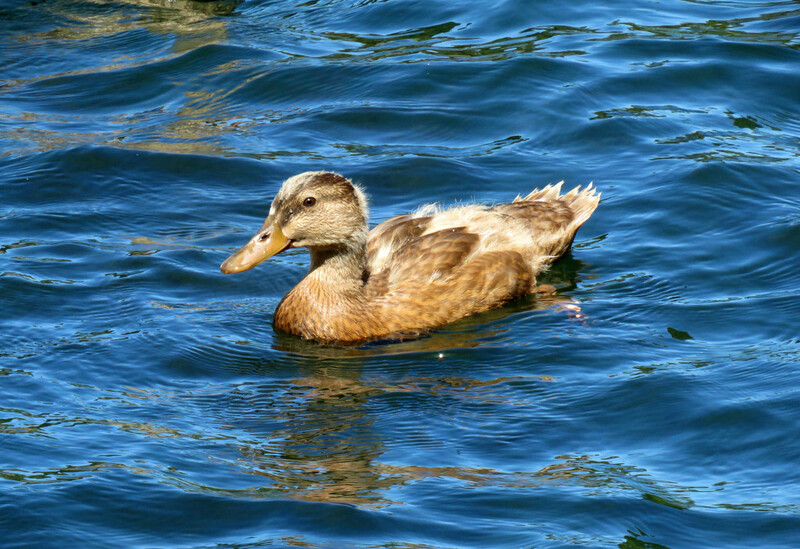 This duck looks to be growing up and out of its duckling downy feathers to mature feathers. Thanks for stopping by. Have a great day. Lovely capture lighting and detail. Fantastic capture. Love the colours. Fav. Very cute capture, Gloria. Fav! Looks so scruffy but soon to be beautiful! A beautifully clear and detailed shot - fav! I LOVE the water and the colours in this light! Well done, to get the fading bit of fuzzy duckling bits off the back and neck. Pretty! Nice light and focus. Lovely light and colour on the water. They do grow quickly - like the beautiful water colors against his brown feathers. A picture that makes U smile:)! Great transition shot, still see a little fuzz! !